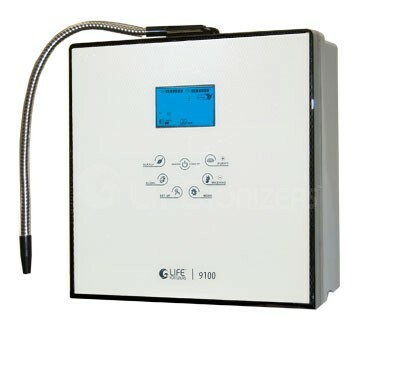 The LIFE 9100 is the most advanced ionizer in its class! It's fully convertible from counter-top to under-counter with the optional faucet This ionizer boasts 9 flat or MESH electrodes and an SMPS power supply (adjusts up to 349 watts) to provide you with the largest amount of antioxidants at optimal pH drinking levels. Optional UV Light Technology (patent pending) and Energy Frequency Technology (patent pending). It also contains LIFE Ionizer�'s advanced filtration with dual internal filters and optional custom pre-filtration. UNCONDITIONAL LIFETIME WARRANTY and Peace of Mind 60 Day Money Back Guarantee. Fully convertible: counter-top to under counter!